In a May 8 memo, signed by Commandant of Cadets Brig. Gen. Kristin Goodwin, the academy said that sexual assault victims often don’t come forward because they fear being punished for crimes that would emerge during the assault investigation. “Collateral misconduct by a victim of sexual assault is one of the most significant barriers to reporting the assault because of the victim’s fear of punishment,” the memo said. The memo also said other such violations associated with a cadet’s sexual assault, such as adultery, could still warrant punishment. But to “encourage reporting, avoid unnecessary additional trauma, and maintain good order and discipline,” the memo said, commanders have been given more leeway to decide what, if any, corrective actions should be taken, and when. The new “safe to report” policy was first reported by the Colorado Springs Gazette on July 28. However, they could still be punished if there are aggravating circumstances increasing the seriousness of such violations, or its effect on good order and discipline. 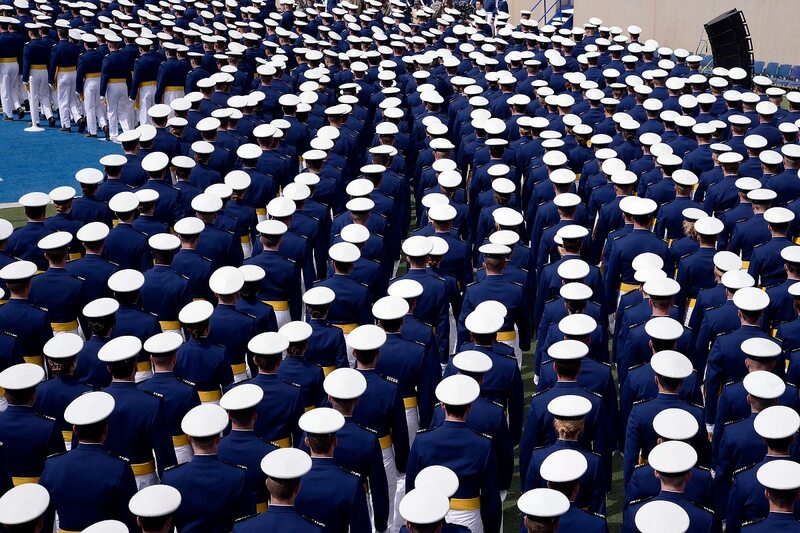 The Defense Department’s inspector general on Tuesday announced it will review the Air Force Academy’s troubled sexual assault prevention and response program. When it comes to other forms of collateral misconduct, commanders will consider each violation — as well as whether and when the assault victim should be punished by an administrative or disciplinary action — on a case-by-case basis, the memo said. When making that decision, commanders will weigh whether the collateral misconduct was already known before the sexual assault was reported, and whether that misconduct would have emerged otherwise. Commanders should also consider whether, if they do discipline the sexual assault victim for such a violation, it might dissuade future victims from reporting their sexual assaults. If a commander decides a punishment is warranted, he should “consider actions that minimize or eliminate impacts on the victims' career,” the memo said. Commanders can defer punishments until the sexual assault case is finished, according to the memo. Sometimes, it’s not a fear of victims themselves getting in trouble making them reluctant to come forward. The memo said victims can also hold back because they’re worried about getting their friends and peers in trouble for violations they committed, and that would emerge during a sexual assault investigation. To fix that problem, the memo said commanders should similarly consider this policy when disciplining cadets other than the assault victim, when weighing punishments for misconduct uncovered during the assault investigation.